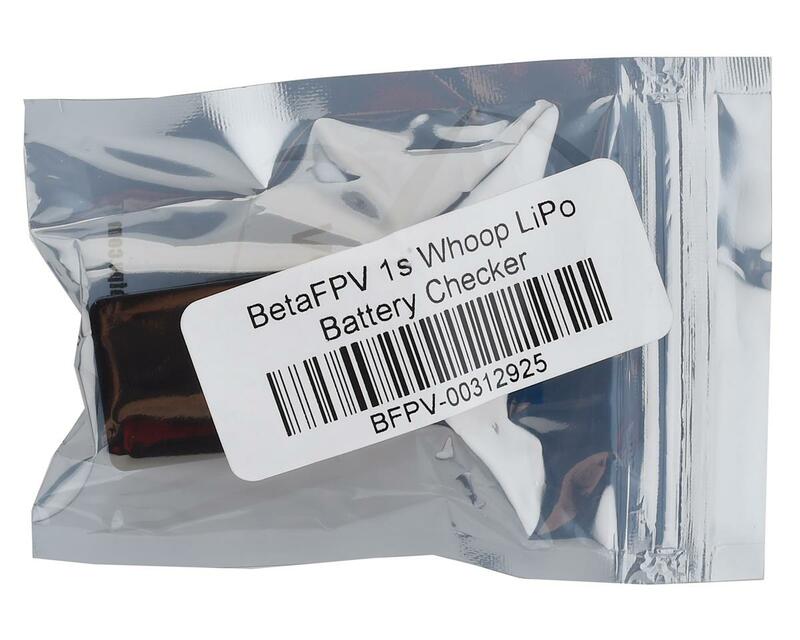 The BetaFPV 1s LiPo battery checker is a perfect tool to have in your flight box. Often times checking the voltage & charge state of 1s batteries is cumbersome due to the variety of connector types each manufacturer chooses to be installed. 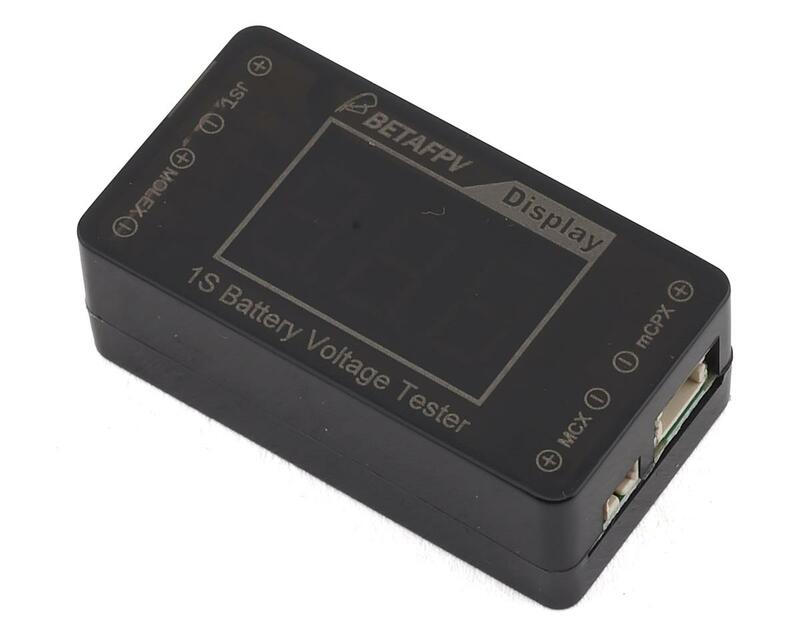 Eliminate this problem with the BetaFPV 1s battery checker! Featuring a JST PH 1.25 (aka MCX), JST PH 2.0 (aka Powerwhoo, & mCPX), JST, and Molex style connection, this battery checker will suit the need for a wide array of battery brands! A large LCD display will quickly display the voltage of the battery and let you know immediately if the battery is ready for flight, or needs to be charged.